Hello there! 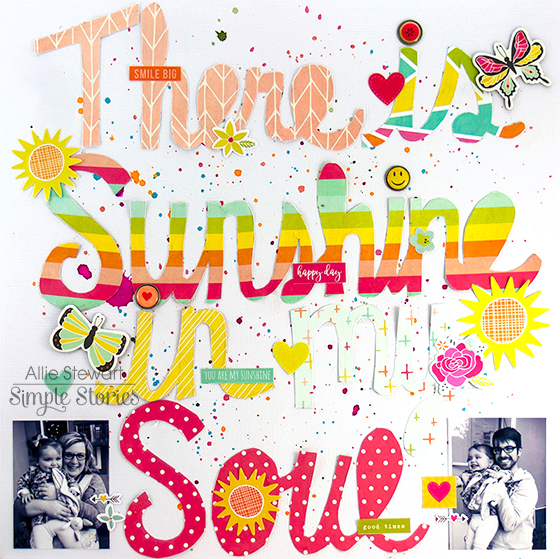 I have two new layouts to share using the Simple Stories Sunshine & Happiness collection! 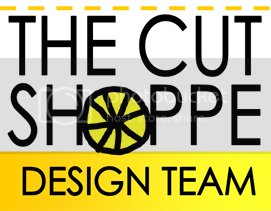 I created this layout based on an image I found on Pinterest. I loved the handwritten script look and the quote it used, and decided to create my page around it. I used my own handwriting to draw out the words onto different patterns. I lightly sketched with a pencil and played around until I was happy with it, then cut them out. I aligned them on my page, glued them down, and then erased the pencil marks. Gluing them down first prevented me from tearing the smaller parts with the eraser. 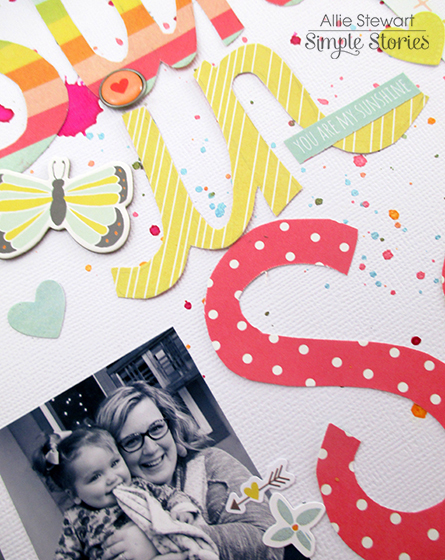 I dotted my "i's" with Bradz and added lots of stickers, chipboard, and die cuts! My only regret is that my letters were too big to fit more product on the page--I just love it all and wanted to use every bit! 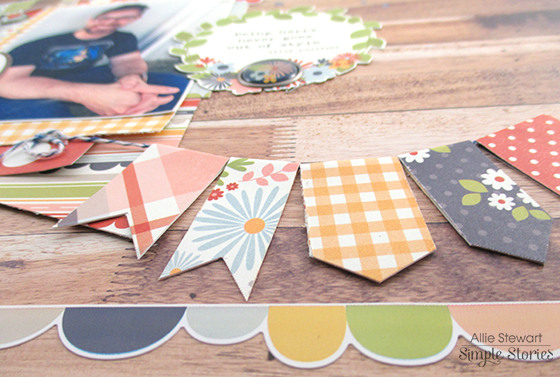 For my next layout I used the Bloom & Grow collection! 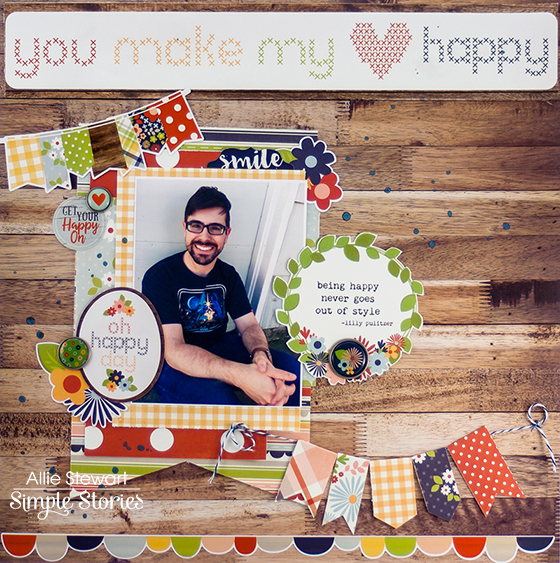 As soon as I saw the "You Make My Heart Happy" strip, I knew I wanted to make my layout about my husband! I started by gluing it to the top and building my layout below it. I also loved the banner on the Fundamentals Sticker sheet, and decided to replicate it with twine and patterned paper. 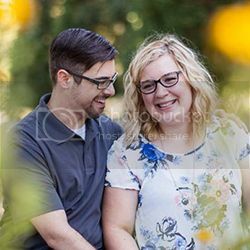 I also love all the cute flowers throughout this collection! The wood grain balances out the floral and keeps a masculine layout from looking too girly. 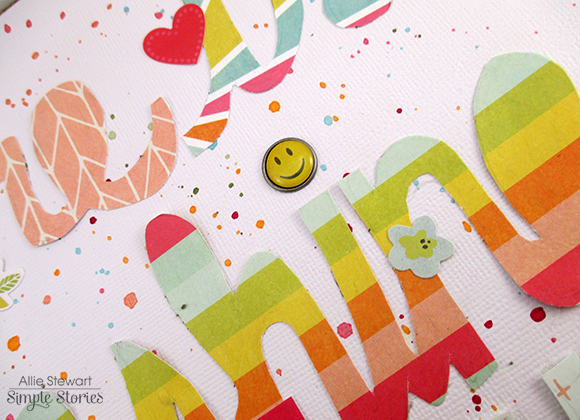 Gathering inspiration from the title, I added a few more "Happy" elements to the page. I am crazy about these two new collections, and I hope you will enjoy using them as much as I am! 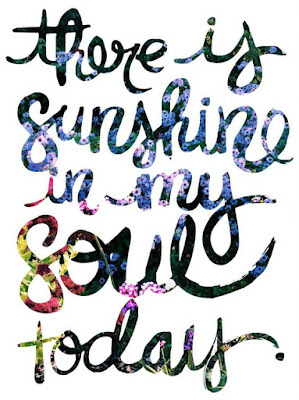 Thank you for joining me today!